My Dad died at the end of September last year. He had brain cancer. I spent most of August and September back in Nova Scotia, visiting him every day in his palliative care ward. On his good days I would take him for a walk outside in a wheelchair, and we talked, or listened to music. He loved Mozart. And Patsy Cline. On worse days, near the end, he lay in bed, desperately gasping to stay alive while I read to him and held his hand, hoping, or pretending, that he knew I was there. I silently wept. 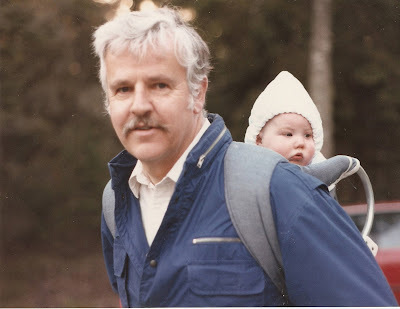 I have written about my Dad here, and the beginning of his illness here. Those words give only a glimpse into the complicated love of our relationship. Now, thoughts of Dad smack me many times a day, leaving me sometimes smiling, sometimes aching, sometimes anguished. I can't write about them. Yet. I didn't know that losing my Dad would be so hard, or that the pain would still be so dense. I miss him. Above photo: Dad in 1988 (with my son). 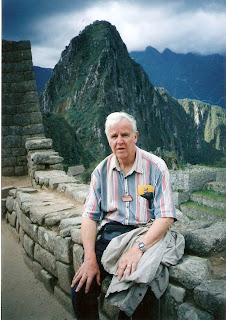 Top photo: Dad in 2000 at Machu Picchu, Peru. He gave me my love of travel and of mountains. So sorry to hear about your loss. Love for our parents can be very complicated. I'm really sorry to hear about your father. I'm already anticipating that loss and the complicated grief that will go with it. I'm so sorry. Losing a father it the pits. I am so sorry about your loss. It's very hard to lose parents. Even though it's been many years since my parents died, I still think of them often. The photographs of your Dad are wonderful. I don't know what kind of pine trees I have to answer your question. I should try to find out. Thank you for your kind comments. Before Dad finally died, I thought the end would be easier because I knew it was coming,and I had grieved during his illness, losing a bit more of "him" every day. I was wrong. I've been walloped by his final leaving. I am so terribly sorry for you loss. I lost my father 22years ago I was so young and really felt robbed...I lost my mom 5 years ago...and I still ache for her...sometimes I think "oh I will just give her a call" then I realize oops no can do. 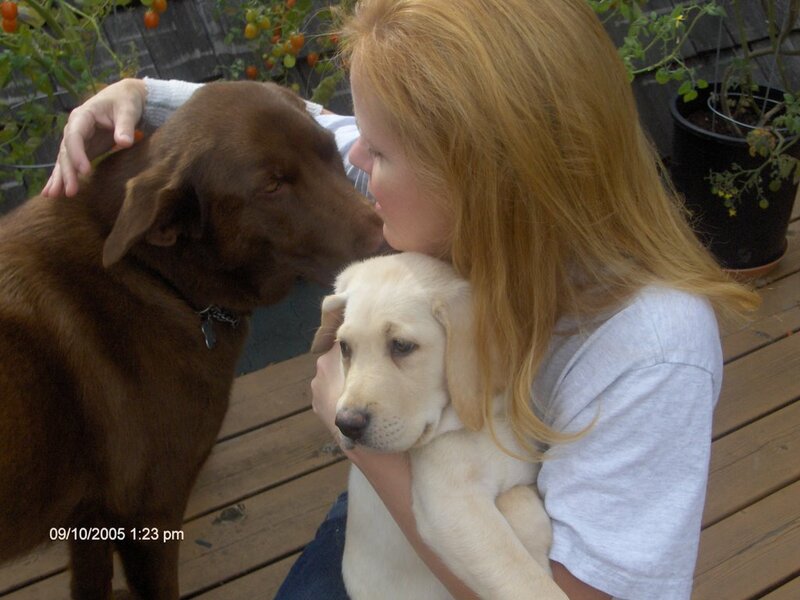 My sister has been gone for 6years and I still can't believe she is gone. The ache and the pain does ease with time...but there will always be silent moments of reflection and tears....your loss is still so new...be kind and patient with yourself. Smalltown RN, welcome to this corner of the blogosphere. Thank you for sharing your experience with death of family members. It helps to know that others feel similar experience to mine. Some well meaning but misguided friends think that five months later, I should be over the grief, and should only dwell on happy memories. Hi there again, thanks for the visit. You were asking me about my dog...Bert is a Golden Retriever/Shepard. We got him at the SPCA when he was 9 weeks old. He has been the best dog ever! Brings us great joy and has such a wonderful temperament. My dad died seven years ago, and I still can't put in the cd of him singing (he was a professional tenor). I'm not ready to feel that broken again. Jocelyn, "broken", is exactly how it feels. As always, in your blog or comments, you have the perfect word. Can I attend some of your writing classes? This was very touching, Jane. A lovely bit of commemoration. I remember speaking of this with you while you were going through it and, as you know, you have my deepest condolences.